Here at Tatty Devine HQ, we like to share our shopping tips with each other, be it eclectic vintage finds, high street store staples or designer buys. Whilst we all have different taste, working closely in a small team often results in arriving at work wearing complementary outfits. We've started to call it subconscious style! Red, white and blue is a Team Tatty favourite. 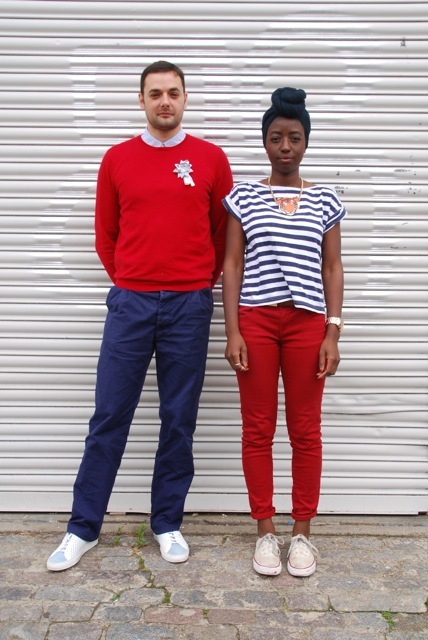 Martial and Rita make the perfect pair in bold block colours and summery stripes. 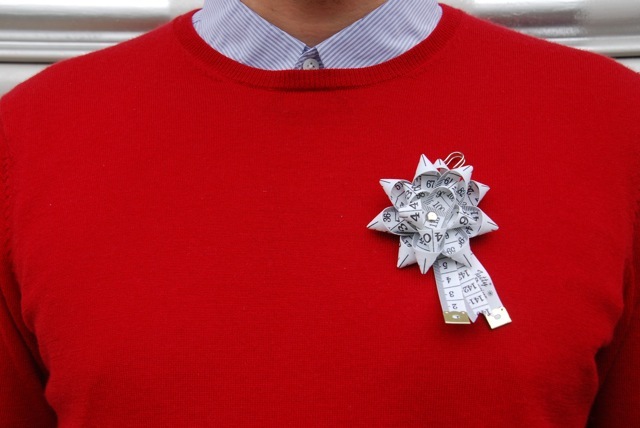 Martial has a weakness for Carven shirts and dandy finishing touches such as our Tape Measure Brooch. 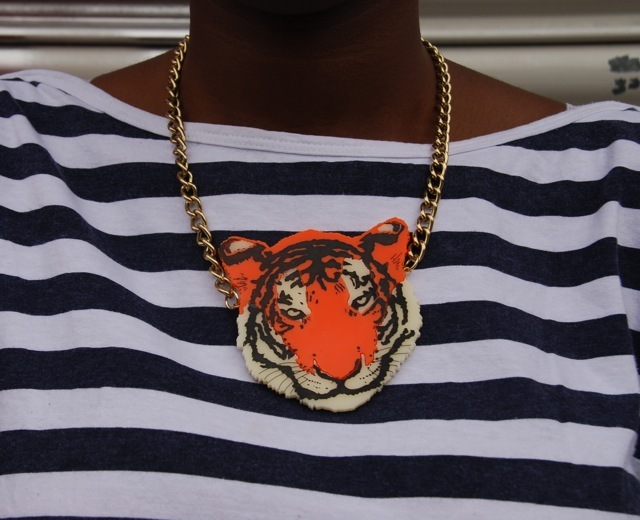 Rita teams her Tiger Necklace with a charity shopped breton t-shirt: "I wear this a lot. I like it because it's easy to put it on and just go!" 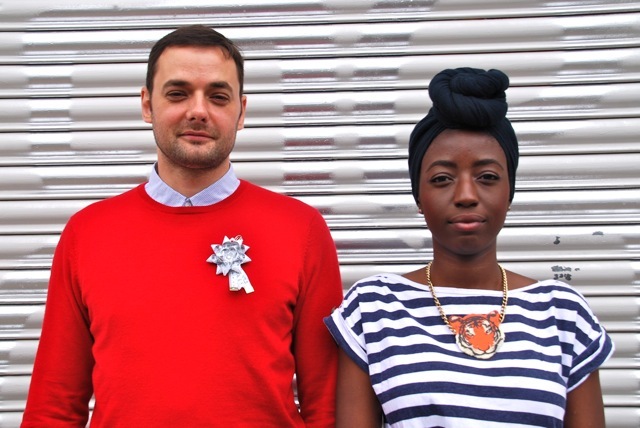 Danish intern Siff brings Nordic style to the Tatty Devine studio: "I like wearing trainers with something ladylike. It's a strong look - and good for early mornings!" Siff lives for the weekend with her lilac 'Saturday' Name Necklace which perfectly matches her pastel Marc by Marc Jacobs t-shirt. 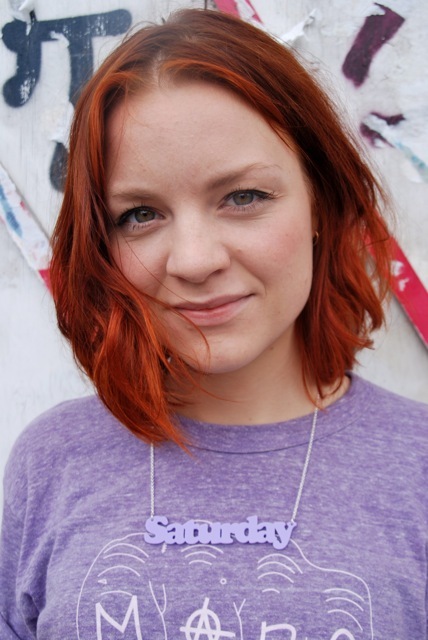 Get your own Name Necklace in our new lilac perspex at our Covent Garden store now and online from the start of August.